LONDON - The government is to overhaul its public service information portal, Directgov, with the aim of increasing site traffic. Directgov communications and engagement director, Mike Hoban, who joined from Scottish Widows earlier this year, has called a pitch to find a branding agency to carry out the work. The Brand Union, The Partners, Dragon Rouge and Start Creative are all pitching for the business. A result is due later this week, and a revamped visual identity for Directgov is expected to be unveiled later in the year. The overhaul follows last month's news that the government intends to close more than 95% of its consumer and business websites and move the content to Directgov and businesslink.gov by 2011. Communications minister Lord Carter said it was confusing to have several government websites with no architecture linking them, and that the government should develop a 'roadmap' for the digital switchover of public services. 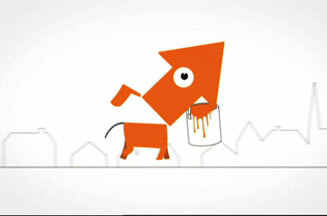 In January, Directgov launched a major advertising campaign featuring an animated dog character voiced by The Mighty Boosh star Julian Barratt. The TV, print, radio and online campaign was devised by incumbent ad agency MCBD, which is understood to be unaffected by the current review. MCBD won the £15m account following a four-way pitch against Chick Trott Smith, Farm and CHI & Partners last October.